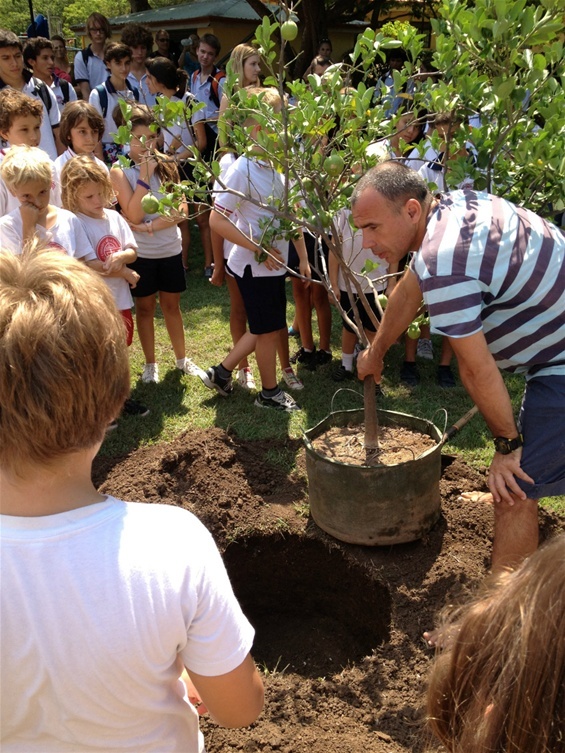 This afternoon our small community gathered in the school yard to plant a lemon tree for Camilo, a third grader who loved lemons and who died over the Easter holiday. He was in Lauren’s class when we arrived and was very nice to her when she was new at school. Today the kids had an opportunity to talk about their friend and put cards, toys, and other remembrances in a box that will be buried next to the tree. On his deathbed, Camilo named his baby sister who was born shortly after her funeral. We will miss his sweet presence in our lives.